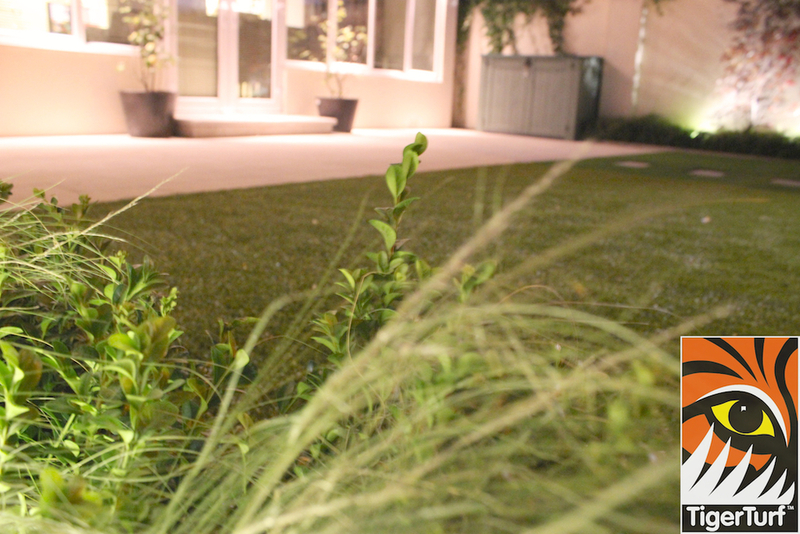 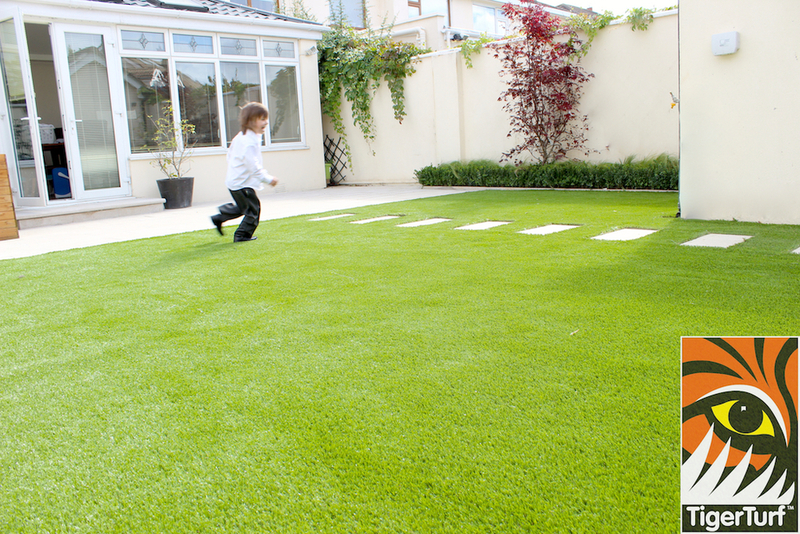 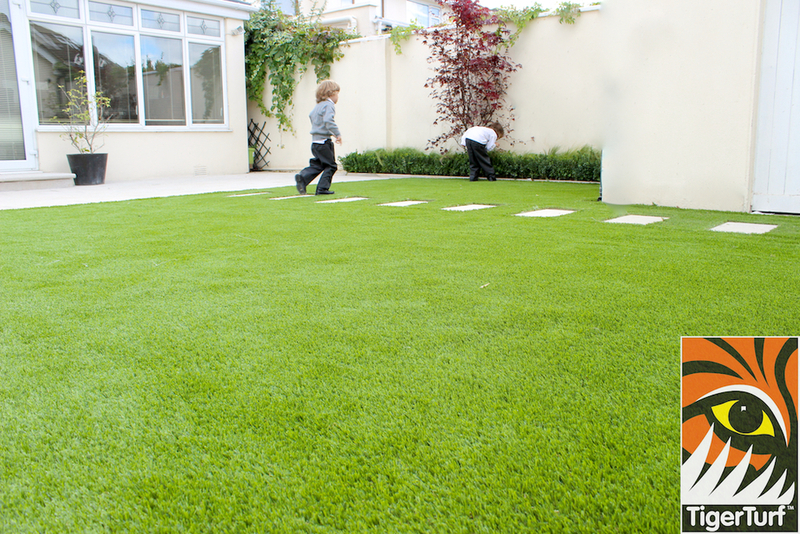 synthetic lawns achieve that elusive, garden-defining balance of tone and texture. 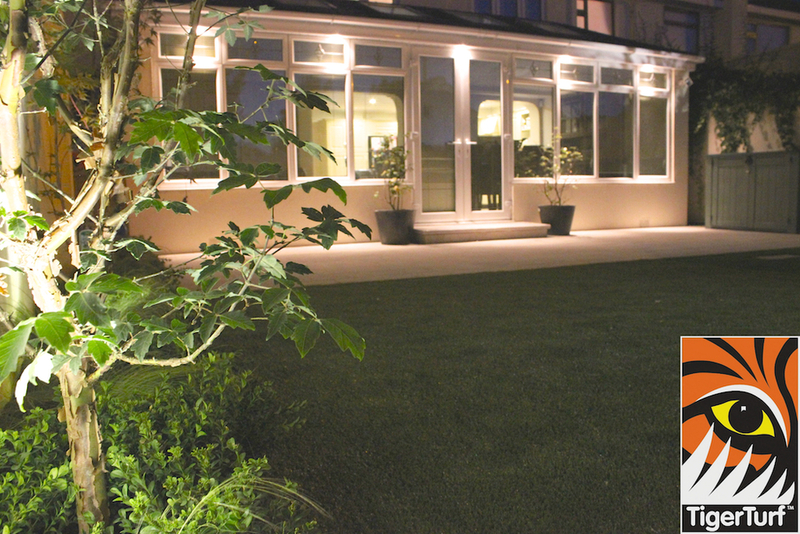 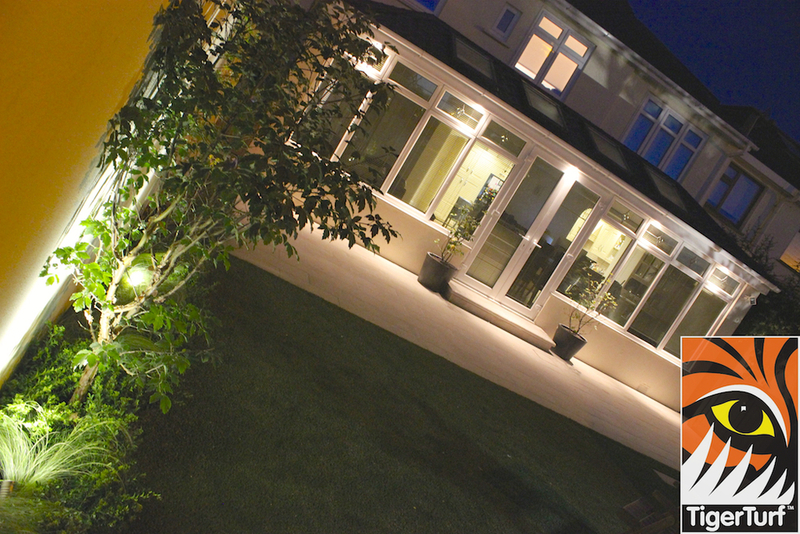 This installation was of Garden landscape design and build that included natural stone paving, classical planting and LED lighting. 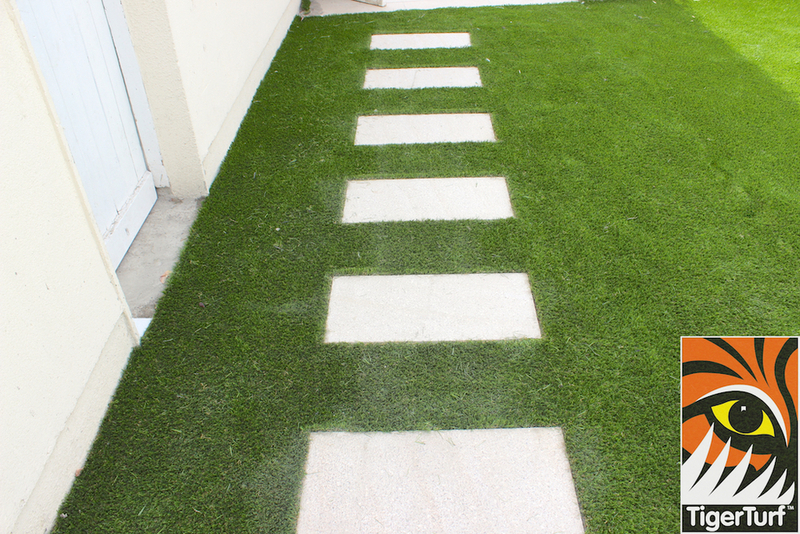 A stepping stone path gives access to the back gate. 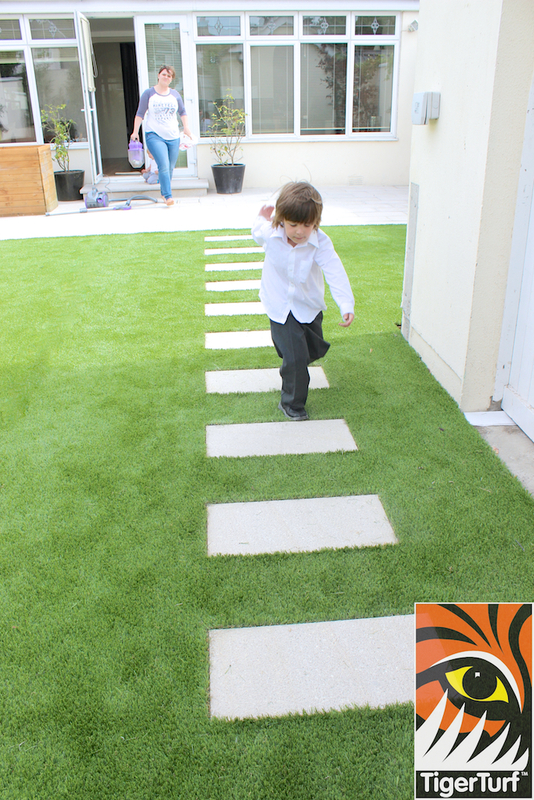 The lawn serves a busy daily schedule and now gives space for kids play, pets to run around and most importantly evening parties. 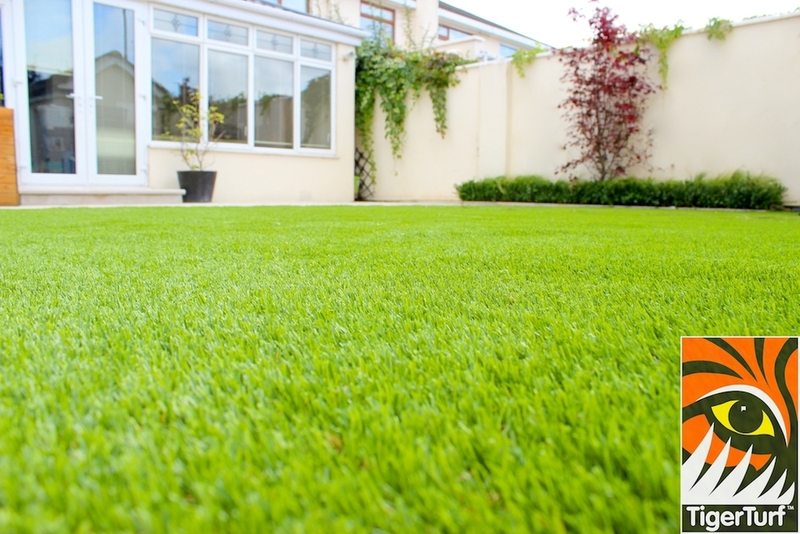 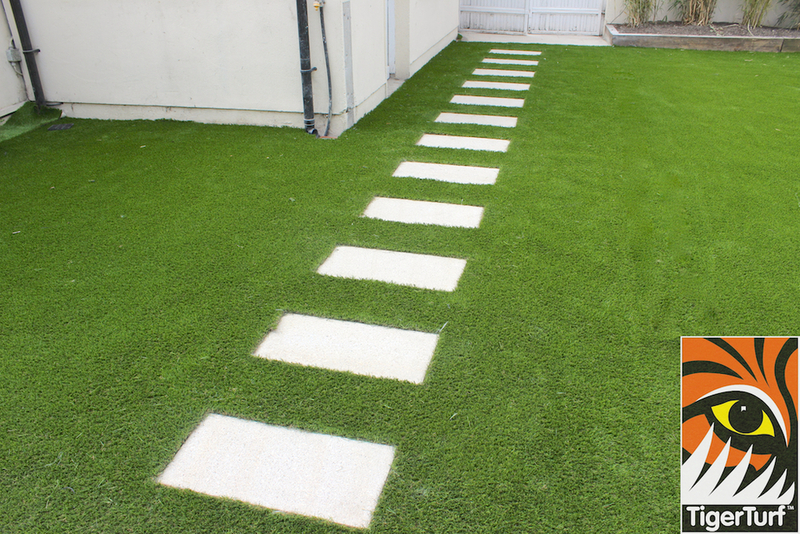 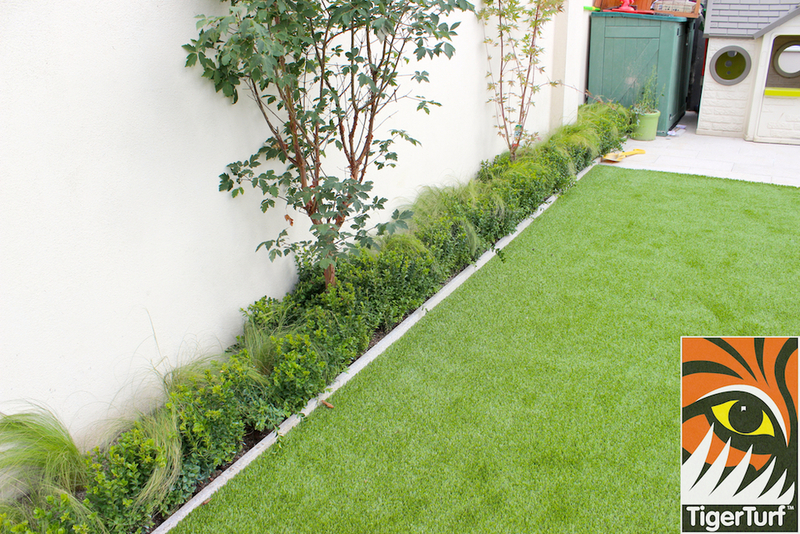 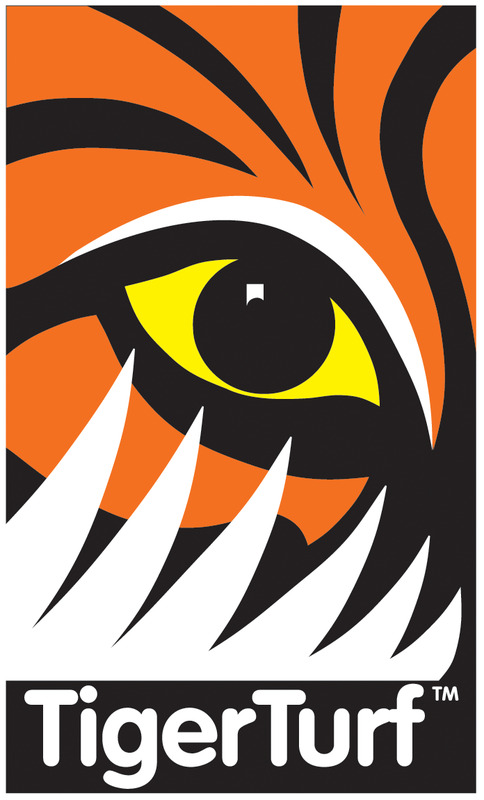 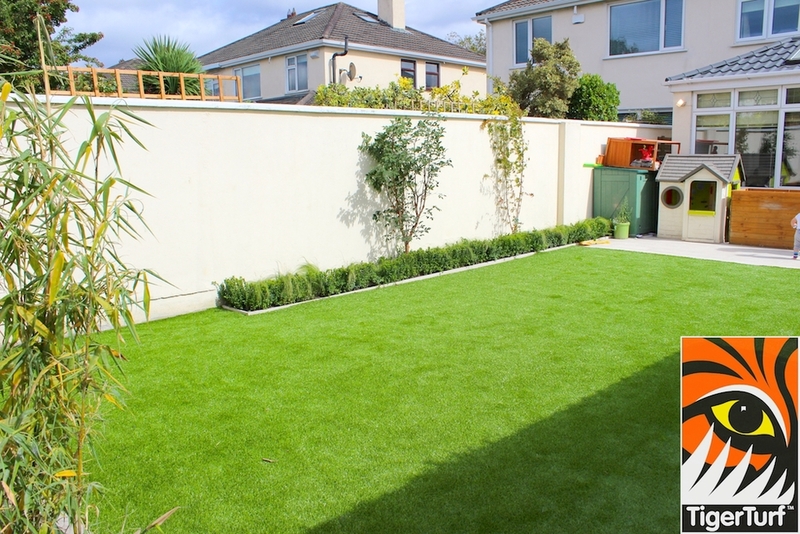 We contacted Ed Cullen of Amazon Landscaping with a view to installing tiger turf in our back garden...The results AMAZing... Not only did Ed listen to our needs but he created a wonderful space way beyond our expectations for both adult, kids and pets alike...not an easy task! 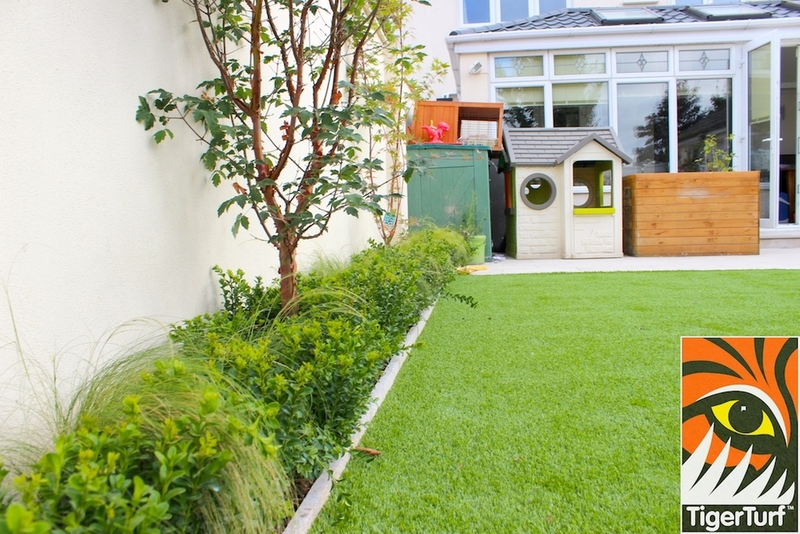 The tiger turf looks and feels fantastic and is complimented by wonderful lit beds filled with trees and carefully chosen plants all designed and landscaped by Ed. 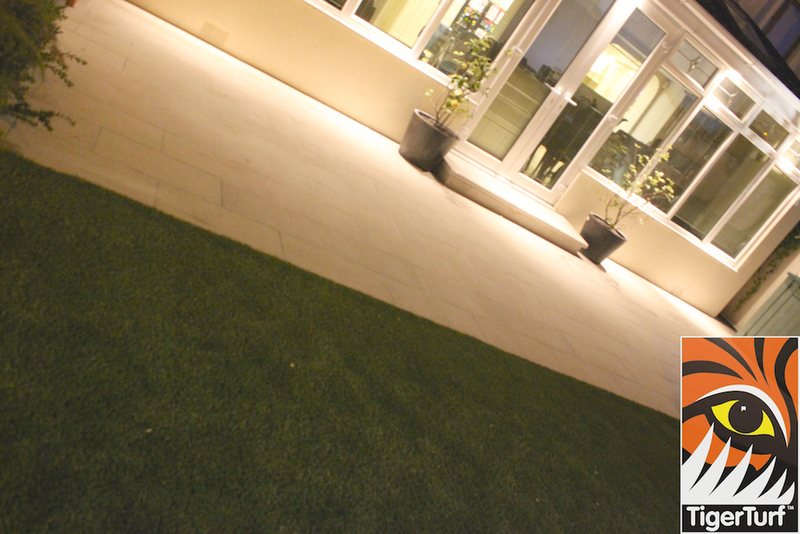 It is further complimented by a fabulous granite patio area for those all important el fresco wining and dining moments! 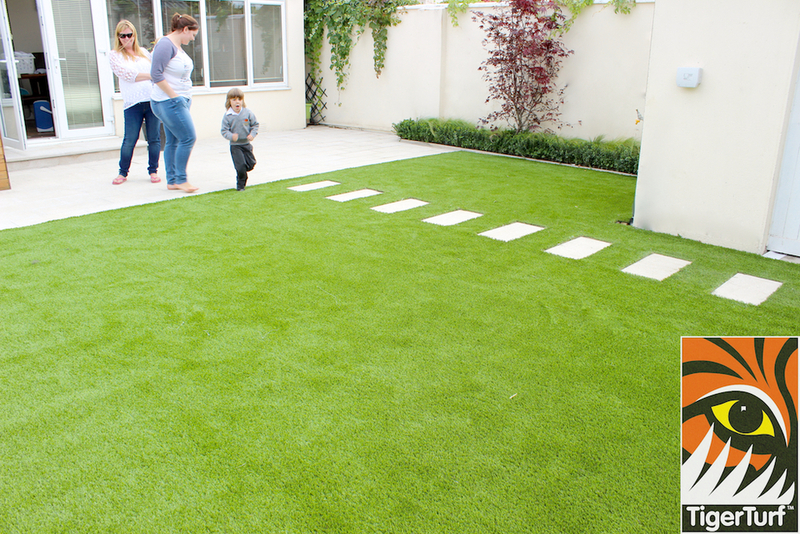 He has managed to have achieved a fantastic outdoor space for our family both day and night, ultimately creating an addition of an extra room to our house. 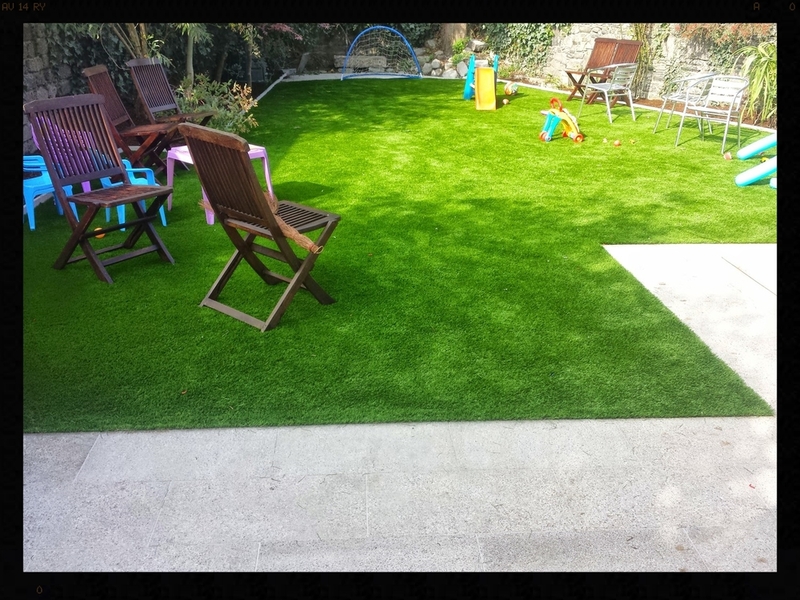 We found Ed and his team of employees very professional in their approach, very honest and hardworking and a complete pleasure to deal with... We would not hesitate in highly recommending Amazon to any further clients and wish Amazon all the best..